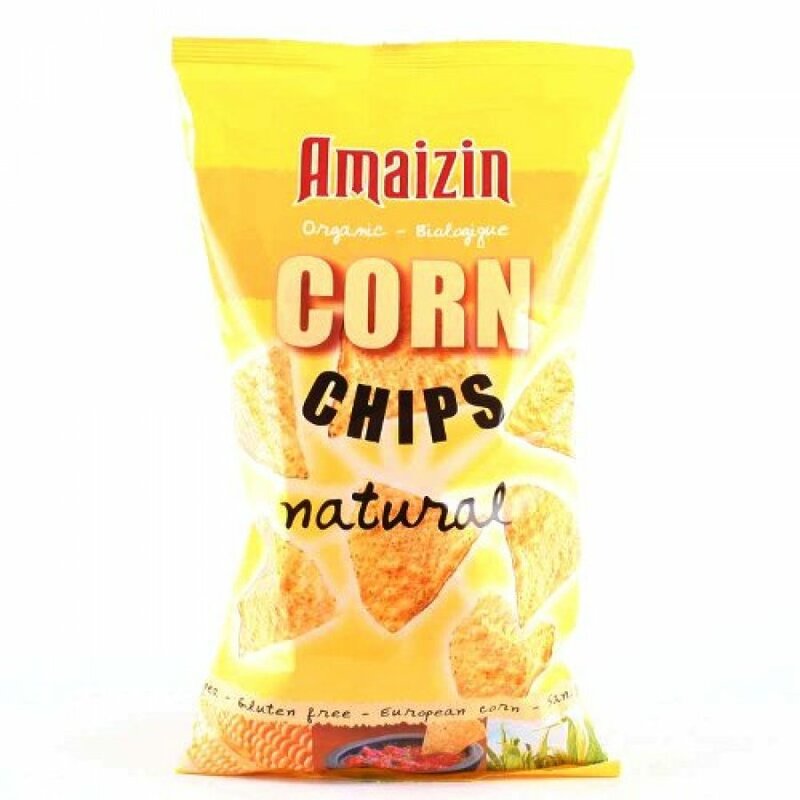 Amaizin's natural organic Bio Corn Chips are a great snack to dunk in a dip, tasty coated with melted cheese, or extremely moreish straight from the bag. Lightly sprinkled with sea salt for extra flavour. The Amaizin Bio Corn Chips ( Natural) product ethics are indicated below. To learn more about these product ethics and to see related products, follow the links below. Enjoying these a great deal. Crunchy snack, not too salty, pleasant taste. Goes well with tea. There are currently no questions to display about Amaizin Bio Corn Chips ( Natural).